Kiss a dolphin, go belly-to-belly, feed, learn and more! 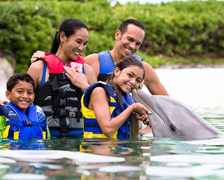 Go on a wild ride with a dolphin in the Dolphin Swim Adventure and interact with them up close in this intimate and educational swim experience and receive a FREE photo plus a $10 value card to use on gifts, food, or more photos when you book now! Unlimited visits for one full year! 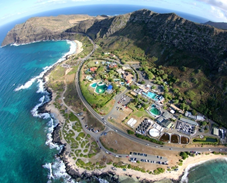 Join our ‘ohana at Oahu’s only east-side lū'au! Get closer and learn more during our hands-on animal interactive programs. Save as much as $25 with our sweet discounts. Plan an excursion to experience our remarkable educational programs. Check out our list of events for the whole family this year! Only 30 minutes from Waikiki! Work alongside animals in a rewarding environment. Call to ask about our kama’aina rates. Participants learn about daily dolphin life and interact with them up close and personal in this exciting and intimate dolphin adventure on Oahu. 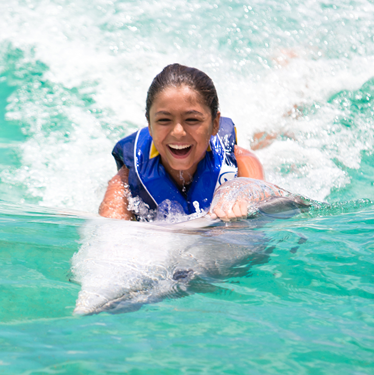 Guests touch, enjoy a kiss, belly ride and hang on for a single dorsal fin ride with a dolphin! NEW! This thrilling adventure now comes with a $40 value package including a dorsal fin ride photo of your memorable experience and a $10 coupon for food, gifts, or more photos when you purchase at the price listed above! More photos with your dolphin are available for purchase weather permitting. Daily - 10:15 a.m., 11:45 a.m., 1:00 p.m.
Each child 8-12 years must be accompanied in the water by a paying adult 18 years of age or older. 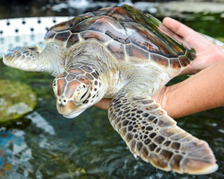 Plan your Sea Life Park visit today! View our in-park experiences and buy your tickets online. This interactive program features two dolphins and can be summarized in two words: exhilarating and thrilling. A kiss on the cheek prepares you for a belly ride, an exciting dorsal fin ride, and double foot push! This is truly an experience of a lifetime. Photos with your dolphin are available for purchase weather permitting. From a waist deep platform, participants touch and observe the dolphins while they swim right in front of them and perform high-energy behaviors. 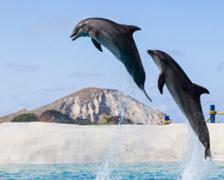 Dolphins play, kiss and may even “hula dance” with the guests! Photos with your dolphin are available for purchase weather permitting. Guests receive a unique opportunity to swim with a Sea Lion in a playful, educational, and interactive atmosphere. During the program, guests will be able to stroke a sea lion as the sea lion swims underwater. Guests will receive a performance and kiss from their sea lion! Photos with your Sea Lion are available for purchase weather permitting. Guests swim in a special lagoon and meet these curious animals face-to-face as they glide through the water. 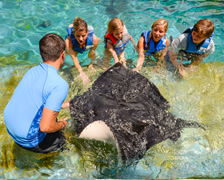 Guests have the opportunity swim with and touch the rays. These graceful marine animals are gentle and friendly. This program is great for families.